The Merituulentie bus stops E2131 and E2132 will be temporarily relocated some 100 meteres to the west of Olarinluoma intersection on Wednesday 22 June. The relocation is due to construction work on Merituulentie. 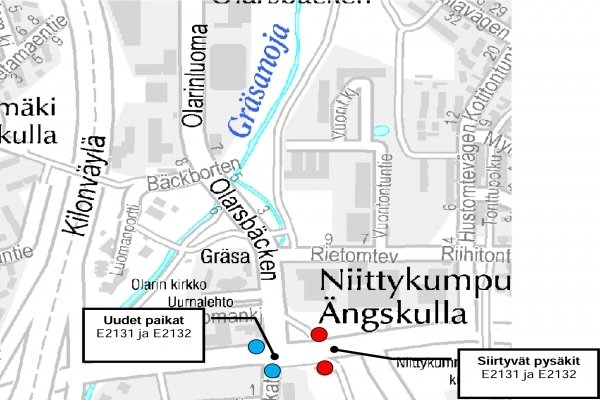 The arrangement affects Espoo routes 11, 12, 14, 16A, 16B and 19 as well as regional routes 121, 122, 154N and 195. The stops will remain in the temporary location until Monday 8 August.